after 2 days this code works, but i’d like to add the Surface plane from the add menu. i know how to do something in the toolbar, but not within the add menu. #deleting points to get plane shape. #bring object to 3d cursor. and it works. but i’d like to get the scale, resolution and align to view things in the toolbar. tips for that? 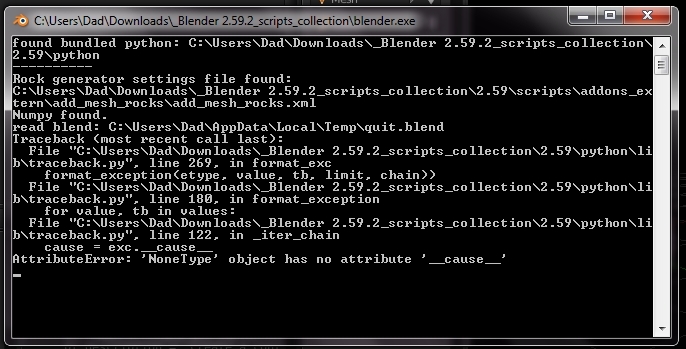 hi, i get this error with current svn, it’s in a few scripts atm. btw, thanks fot the cool script! your the first add_surface script! ty, it was realy difficult to find what i needed… luckily it’s there(thanks dev’s). and you can’t just make a nurbs surface, most of the times a ‘face’ can not be created, and you have to start from a base mesh and delete/scale/rotate things from that to get certain things. for the error, i think it’s not my fault then, and that’s good. i got the lates official build of 2.59, and it works. currently i want to get the align to view and resolution in the toolbar. seems difficult. btw, is there a 'remove doubles’function for curves/Nurbs surfaces? for most things, but with nurbs i always get a nurbs curve, and not a nurbs surface(different thing). and i think modifying existing ones is easier, since most of the time a face cannot be created. ok that is about done, just have to add ‘align to view’ to it, but that seems a problem, and i haven’t seen other script doing this. anybody knows? ok new version again, get it here. and i added some more comments to make it clearer what’s hapening :).